Whether you make New Year’s Resolutions or not, most of us can think of at least a few things we want to change in the coming year. I for one would love to have a baby, paint my living room, go see a movie (in theaters!) and maybe learn to like celery. However, when I find myself at the end of next year I’m pretty sure those silly “wants” aren't going to be what defined my year (except maybe having a baby!). Deep down I want more than those superficial things. I want my year to be defined by the heart changes, the work that the Lord is doing in my life. 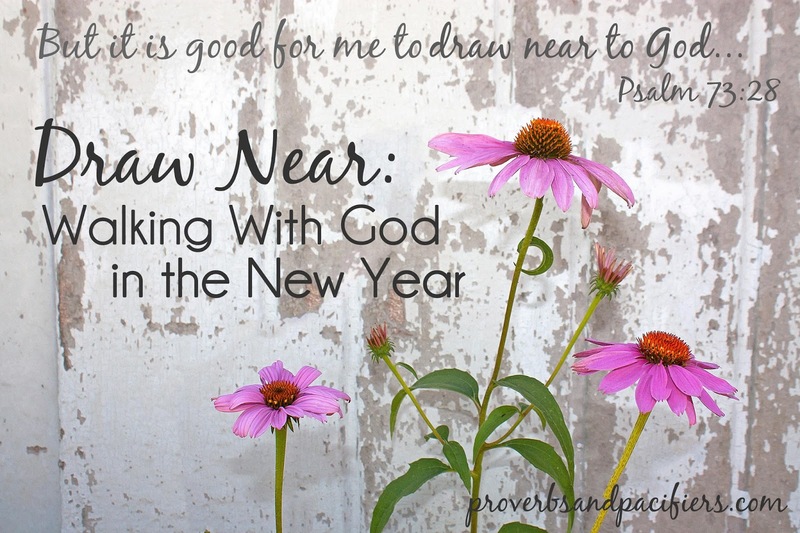 And this week as I pondered Hebrews 10:19-25, I noticed three things I want in the new year. I want this year to be a year of forgiveness. I was saved at a young age, and I've lived for the past 20 years under the safety and security of the cross. And yet, I still need forgiveness daily. My sins have been paid for, but still there are days when I look at my heart, my sinful desires and actions, and feel dirty. The Lord is faithful and just to forgive me, but even now I need help renewing that relationship, healing the damage done when I fail to obey and trust him. However, as I draw near to God with a sincere heart I have confidence that he knows my weaknesses, he knows my failures, and he loves me anyway. He is the great High Priest who sympathizes with my struggles and is always willing and able to help in my time of need. So this year, I want to confess, to repent, to daily take myself to the feet of Jesus and allow him to wash me clean again and again. I want to live in the confidence that I have been bought with a price and I am a new creature, free from sin and alive in Christ. I want this year to be a year of faith. Not just the “I believe” kind of faith, but the “I believe enough to move mountains” kind of faith. It’s easy for me to believe in who God is and what he’s done. 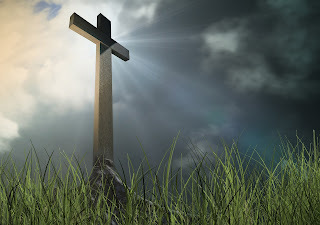 I was raised in the Christian faith, and I've studied on my own for many years. I can confidently say I have no doubt in the authority and truth of scripture, that my salvation is secure, and that Jesus is coming again. However, some days I doubt the little things. I hesitate to obey when God says to be generous, to trust him and not worry, to step out and witness to others. I doubt that God will provide. I doubt that he will give me the strength and grace I need to parent my children. Some days I doubt that God really does want good things for us, especially when it feels like my life is falling apart! And because I doubt, I find myself plagued by “what ifs” and “maybe nots”. I worry about the future and justify my sinful behavior with platitudes and logic that supersedes and contradicts what scripture says. I attempt to live on my own strength instead of fully trusting God. So this year, I want to have faith, living out my faith in who God is even in the smallest things in life. I want to hold fast to my confession of hope because I know God is faithful. I want to obey, to hunger and thirst after righteousness, even when it's difficult, and I know I will see God prove himself faithful and loving again and again. I want this year to be a year of fellowship. If I had to pick one way in which I’ve struggled the most this year, it would be in the area of fellowship. 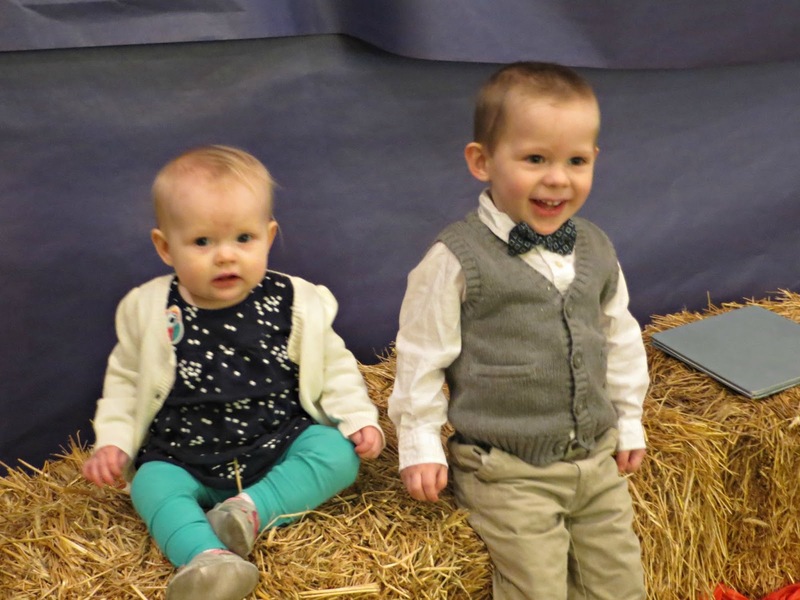 My husband is a full-time church worker, and a few years ago the Lord moved our family to a new town, a new church, and a new job. It was an exciting time. At the time we didn't have kids and it was fun making new friends and dreaming about what God would do with us in our new home. But now 4 years later, I am tired. As we’ve added young children to our family, I find myself feeling more and more left out because I can't serve like I used to. My time and attention is needed more and more at home. Where we used to fellowship and enjoy visiting after church, now we are just hoping to get everyone home and in bed before any major meltdowns occur. Sundays are busy, surrounded with people, and yet I rarely feel encouraged. And if I’m honest, I’m not all that encouraging. I’m so wrapped up in my own family, I don’t take the time I should to really love others. So this year, I want to find a way to love and fellowship more. I need to let go of the way things used to be and start finding ways to encourage others to good deeds in my role as a very busy wife and mother. This is the place God has put me. He’s given me a husband and children to love, but he’s also given me a wonderful church family to serve. I may not be able to do everything but I can do something. I can find ways to encourage other moms who are probably struggling the same way I am! I can pray for those who are sick and hurting, and those who are giving their time and talent serving in big and small ways. And most of all, I can let go of the frustration and discouragement I feel and trust that God always provides what we need when we need it. I know he has a plan and a purpose for me, even if I don’t always know what it is! This is his family, his body, his church, and if I am following him, he will help me find my place and lead me to good works one Sunday at a time. 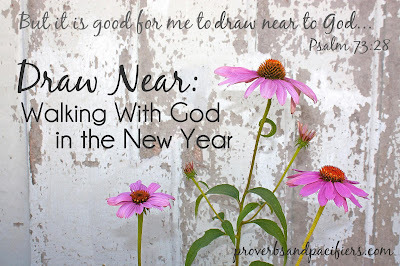 In what ways are you hoping to draw near to God this coming year? Can you relate to my struggles regarding forgiveness, faith, or fellowship?